This economy package of ReNu MultiPlus solution contains four 360 ml bottles. ReNu is a multi-purpose solution for disinfecting, rinsing and removing deposits and is suitable for all types of soft contact lenses. 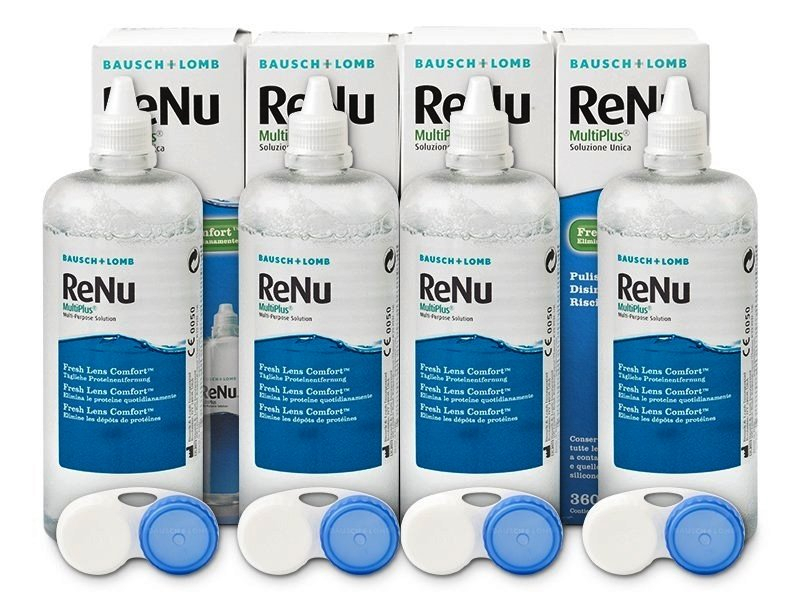 Each bottle comes with an antibacterial lens case. 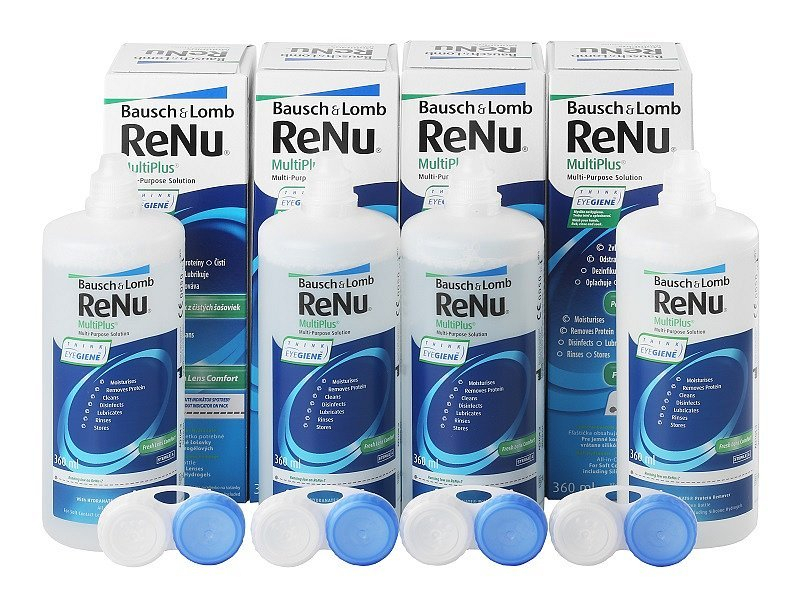 ReNu MultiPlus is a special multipurpose solution intended to remove proteins and clean and disinfect soft contact lenses and is manufactured by Bausch and Lomb. Although ReNu Multi Plus is marketed as „NO RUB“, it is strongly recommended that you rub your lenses between your thumb and index finger or your palm and index finger with the solution before and after wearing. This will ensure your lenses are clean and your vision is as clear as possible. 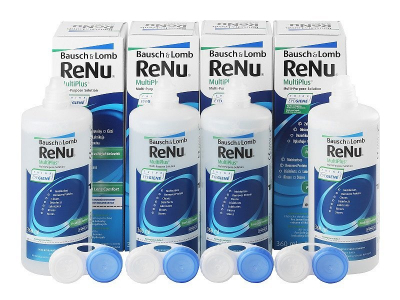 If you are wearing monthly or bi-weekly contact lenses, take advantage of this family-sized package that includes four bottles of solution and four cases.